﻿ Berchtesgaden, Obersalzberg, Tour, mountains, nature and lakes. Berchtesgaden town – in the bavarian alps, nearby lakes and surrounded by high mountains. Berchtesgaden is a city nearby Salzburg that shows you a hard-working mountain city that became world famous due to the location and the surrounding mountains with clear mountain water and perfectly preserved nature. Moreover it is not only the nature that attracts tourists but also handcrafted items and friendly people that know about their values to preserve their world and their traditions. Historically this town was inspired by it’s location with the salt and iron resources. On the other hand they are famous for the steep mountains that enable special plants to grow here that cannot be found easily in other areas. The city of Berchtesgaden is also famous for the fact that some bavarian kings, used the location for their summer residence. Especially the lakes surrounded by the alps close to Berchtesgaden invited the kings and also artists during the 19th century. Due to the important role of Berchtesgaden in the second world war, when Hitler and the NSDAP created on the Obersalzberg their summer residences and the summer seat of their political party Berchtesgaden became famous all over the world. Severe decisions about persecution and peace had taken place there. Even if in the second world war the area hosted almost all of the Nazi leaders the city was very much preserved from any bombings. The area of Obersalzberg was severely damaged and nowadays the Obersalzberg offers a documentation center that give more information about the rise and fall of this right wing party and some more historically facts about the area, what happened and the reasons why the Nazis chose this area. It is also possible to visit parts of the bunker system that have been created there in the 1940ies. In the year 1990 the region of Berchtesgaden has become a national park by the UNESCO. They have a free agreement with the alpine clubs that allow tourists and locals to visit preserved nature, clear water and mountains without any limits. It is the only national park in Germany. This national park was primarily established to preserve the nature, such as rare animals and plants in this area. Also agriculture has to be kept in a certain way in this area and industries have to make sure to fulfill all natural park regulations. Controversial was the establishment of the house of the mountains in which more interesting facts about the national park, the nature, the tourism, etc. are shown to educate and inform people. It was controversial because many people preferred to have it in another setting but since the building was empty the community of Berchtesgaden decided to use and adapt it. Berchtesgaden is the main city of the region Berchtesgadener Land. The district of Berchtesgaden is in the south east part of Bavaria, the most south east state of Germany. It is located close to the Austrian border and was for a long time under the rule of the Salzburg Archbishop and other bavarian bishops. In the 19th century it became after lots of debates again part of Bavaria and this was also the start of tourism in this area. Nowadays tourism is the biggest income of Berchtesgaden. More than half of the obligatory social tax people are working directly or indirectly in the tourism business. Not only in the summer time when hikers, walkers and people that just want to enjoy the nature invade in this area but also in the winter time, when this area has fascinating skiing slopes, tracks for sledges and an even individual winter wonderland that attract tourists. Before christmas the Christmas market welcomes people with typically products, well known also across the territory of the Berchtesgaden land. In the winter time in the nearby Ruhpolding is the world cup for cross country skiing / biathlon held and at the Königssee each year the world cup for sledges and bob sledges in the ice tracks shows the importance of winter sports in this area. This area brings out lots of new sportive talents, also due to special sports’ schools in this area. In the summer time for thrill seekers the area holds climbing tracks, zip lines, summer toboggan runs on the tracks where in the winter sledges drive down and also wild water rafting and canyoning (a walk in wet suits through a canyon and its’ water). In order to energize people in the winter or summer time, the area of Berchtesgaden welcomes you with nice places to relax, such as the thermal bath called “Watzmann Therme” in the city of Berchtesgaden, or the “Rupertus Therme” in Bad Reichenhall, or many spiritual and powerful nature places in the area. Also the numerous restaurants in the area of Berchtesgaden welcome you with lots of homemade meals and desserts and not to forget the most important thing in Bavaria: the beer! Beer is brewed directly in the brewery of Berchtesgaden, founded in the year 1645 and still an active brewery. Besides the beer, there is also the brewery of Grassl, founded already in the year 1692, to produce schnaps, liquors and brandies with natural ingredients from the area, such as herbs, roots of flowers, etc. But also natural non-alcoholic drinks are produced by the local farmers. 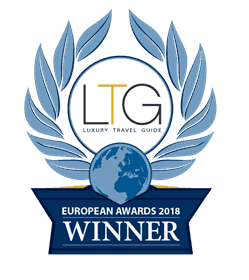 It is the best to enjoy these beverages in one of the restaurants in the area of Berchtesgaden and this is the perfect opportunity to interact with locals. Trust me that even if sometimes some people seem to be closed, after some schnaps and beer everybody will be a very open and nice. 🙂 But I can tell you that the locals do not need to drink alcoholic beverages to open up and to be friendly, but just try to talk friendly to them and they will be even more friendly with you. A must-see is the national park of Berchtesgaden. One of our suggestions is the area at Ramsau and the Hintersee lake as one of the most interesting parts of this national park. You will see crystal clear lakes, waterfalls, rivers and will enjoy the quietness of nature. Fishing is only allowed if you register in the local community and obtain a fishing card. In the eastern part of the Hintersee you will find the so called magical wood and as soon as you are walking through this wood on one of the well-maintained walking path, you understand the name of this forest. The floating water you hear, the nice trees on top of stones or also the magical paths inspire your fantasy. 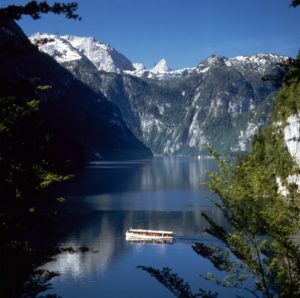 Another highlight in the national park is the lake of Königssee (the king’s lake). It is placed between the Watzmann and the Jenner mountain and is famous for it’s echo and for it’s deep clear water. It is one of the deepest lakes in the area with over 620ft depth. There is also a famous village, called St. Bartholome: It consists of a smoking area for fish, a baroque church and a restaurant. The most appealing part is that you can only get there by an electrical boat. Another sight of St. Bartholome is a 45 minutes hike to the “ice chapel” (a small cave in which you can see ice formations the whole year around). Berchtesgaden reflects its culture to the most. It is aware of the heritage and the historical importance that it played and the history is still present. From the time when it was founded in the 12th. century until today. The beginning of settlements in the area were hunters and fishermen already 4.000 years ago. 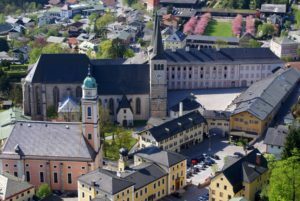 The first proofed documents of a village go back to the 12th century when in Berchtesgaden an abbey was found. It was for many years under a church rule, even if the city of Berchtesgaden was partly owned by the Wittelsbach nobel family. Since the beginning of the 17th century it became part of Salzburg, again part of Bavaria and so on, till the 19th century when the region of Berchtesgaden was founded. Soon the Bavarian kings started to construct a summer residence in Berchtesgaden, especially King Luitpold used this area for hunting purposes. He also supported the region and villages. Nowadays many signs of his actings can still be found within this area. By the end of the 19th century the railway arrived to Berchtesgaden and a new number of tourists per season arrived. Nowadays Berchtesgaden is the smallest community in Germany with a main train station, that has been built up in this way to host the state visitors and VIP people during the Nazi regime. Also the number of painters and artists that were inspired by this region increased a lot at this time. The first bed and breakfast places and hotels were opened on the Obersalzberg, at that time a perfect area to enjoy the views to the mountains and nature. In the year 1923 Hitler visited for the first time the Obersalzberg and immediately fell in love with this region. After his take over of government in Germany the Nazi leaders declared the Obersalzberg as the Führer’s off limit’s area and people could only visit with a permit. In the year 1938, after a 13 months building time, the Eagle’s nest and it’s road was opened on the Kehlstein mountain as a present to Hitler’s 50th birthday. It is in the summer time still visible and the ride on the original road with special designed buses is a highlight for lots of visitors from all over the world. On the Obersalzberg you can still visit the area where Hitler’s house used to be, even if there are only some remains of walls but the documentation center will give you more inside information about the raise and fall of the Nazi regime and how the Nazis changed the Obersalzberg, also with their bunkers. It brings you closer what happened in this area with many historically facts. Nowadays the region of Berchtesgaden welcomes everybody warmly, no matter of race, heritage, religious believe, etc. to have a nice time in this area. The area of Berchtesgaden offers also may attractions for all ages with nature, history and traditions. In the winter time skiing, sledging, walking, enjoying the snowy area and in the summer time water, high mountains, preserved nature and warm hearted welcomes by the people of this area. Berchtesgaden is nowadays not only the heritage of it’s own history but also a place that brings out new talents that get their inspiration from the traditions and landscape of the area. You can experience this at the local cuisines in the area and at many handcrafted products of this area. Art, tradition and innovation can be also found in some unexpected places like farmers and still some handmade workshops in this area. On of the examples that you will see is that shops, like a hat maker, and special tailors for leather trousers (Lederhosen) and Dirndls can still be found within the city of Berchtesgaden. For children very important the traditional wood toy story in the center of the city that still produces the traditional toys of this area. Visit Berchtesgaden and learn more of this city – history and fascinating stories of former times, beer and traditions – b(e)specialtours! 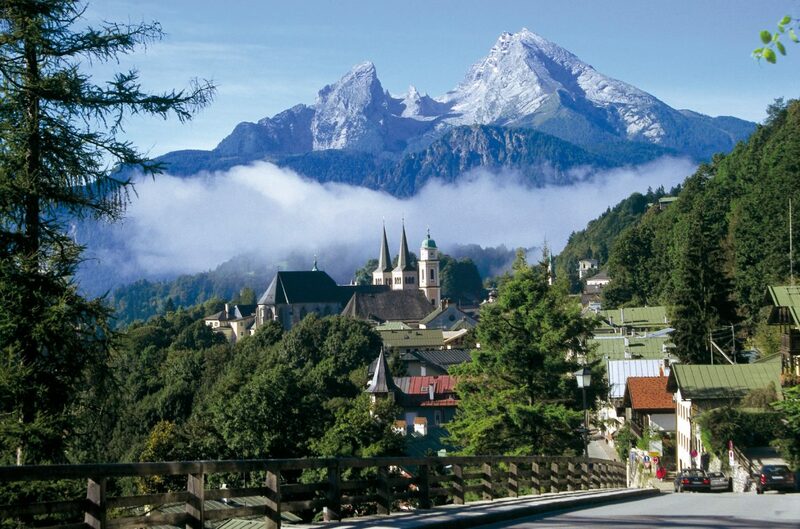 If you want to enjoy some great time in Berchtesgaden, book a private tour to Berchtesgaden with B(e)special Tours from Salzburg, or arrive directly in Salzburg, enjoy a city tour with our comfortable vans, enjoy a guided tour through the town of Berchtesgaden and continue a nice drive through Bavaria and Austria. So if you are planning to come to Berchtesgaden, or if you want to visit the city of Berchtesgaden and the scenic mountains from Salzburg then please do not miss a nice ride with b(e)special tours! It is fun for youngsters and the older ones and you can taste a lot of delicious typical Austrian and Bavarian dishes and of course the beer! Enjoy the fascinating city of Berchtesgaden – a place of history – but also with fresh ideas, food and a lots of fun.